The Kick-off Party for Louisville Pizza Week is Thursday night at the Old 502 Winery. LOUISVILLE, Ky. (WHAS11) — Pizza-lovers, it’s time to get ready! The inaugural Louisville Pizza Week begins on Monday, November 12. For seven days, you will be able to enjoy $8 pizzas at 29 participating locations. This week is an opportunity for people to get out and embrace the food and culture of Louisville. Locations include Blaze Pizza, Impellizzeri’s, Pizza Bar, Wick’s and more. 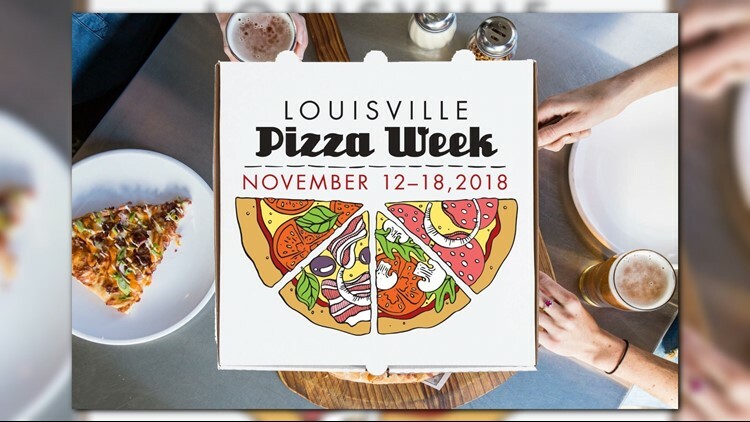 Louisville Pizza Week passports, which will help guide pizza lovers to participating restaurants, will be available at each participation location starting on November 12. If you don’t want to wait, the Old 502 Winery on 120 S. 10th Street is offering a Passport Release Kick-off Party on Thursday, November 8. From 5:30-8:30 p.m., you’ll have the opportunity to sample some 8th Street Pizza and pick up your passport. You could also gift cards to participating Pizza Week locations or tickets to see Cher, Weezer, and Broadway Across America’s – A Christmas Story. For more information on the kick-off event, click here. Your passport isn’t just a guide - passports will be stamped by each restaurant you visit for each full pizza ordered. Earn four or more stamps and you will be entered to win over $250 in gift cards and a tasting for 8 at Old 502 Winery. You can learn more about Louisville Pizza Week here.